Shannon!!!! Your pizza!!!! Is here!!!! 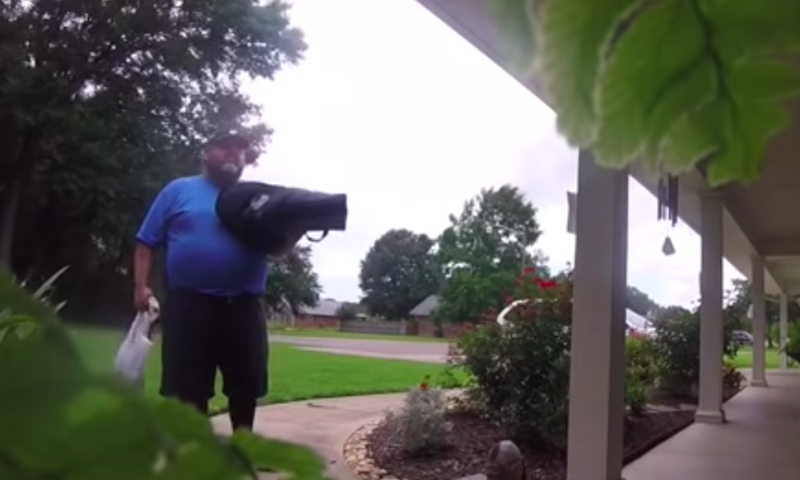 A beloved genre in this country of ours, for me, the video watching boy, is people goofing with the pizza delivery guy. It’s fantastic. It’s a group of strangers having some fun with a person who they might never see again, who is there working the definitive job of the kind that he’s going to just laugh about in the future. There’s something warm and human about the entire endeavor. Something that stinks to high heaven of wonderful youth. So is the relationship in the video above, as a pizza man is instructed not to ring the doorbell but instead shout the arrival of the pizza in question when he reaches the door. And folks — shout he does! With bellowing, breath taking gasps! “Shannon!” the man shouts. “Your pizza!”, he shouts once more. “Is here!! !” And folks, just in case you’re one of those special features nuts, in the video you can later see it from Shannon’s point of view as she barely suppresses her laughter seeing the man shout who clearly relishes it himself as he continues to shout even when the door is thrown wide open. He even gives us a little bonus shout. What a delight. What do you think of the video of the thrilled screaming pizza man? Let us know in the comments or on Twitter at @WhatsTrending.